Created in 2003 by Executive Order No. 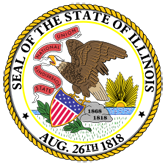 16, the IIJIS Implementation Board is an intergovernmental effort dedicated to improving the administration of justice in Illinois by facilitating the electronic sharing of justice information throughout the state. It is a collaborative effort charged with enhancing public safety by making complete, accurate, and timely offender based information available to all justice decision makers. The executive order directs the Implementation Board to address the challenges identified in the IIJIS Strategic Plan and to set goals and objectives for future justice information systems. The Implementation Board promotes the electronic sharing of justice information by coordinating the development, adoption, and implementation of plans for systems designed to make justice information readily accessible to justice agencies. The responsibilities of the IIJIS Board center on promoting the integration of justice information systems and include: coordinating the development of systems that enhance integration; establishing standards to facilitate the electronic sharing of justice information; protecting individual privacy rights related to the sharing of justice information; and coordinating the funding of integration efforts. 1. 2005 Annual Report: Illinois Integrated Justice Information System (IIJIS) (20070914121021_2005AnnualReport_final.pdf).